Look and learn how a golf course can be restored to wild forests and wetlands as you walk the open, rolling hills of Acacia Reservation. A fully-functioning golf course until 2012, this property is undergoing a process of intense restoration, and each visit is different. The paved trails are favorites of dog-walkers, cyclists, and runners, while ponds, fields of wildflowers, and red-headed woodpeckers make it a fascinating place for nature-lovers as well. 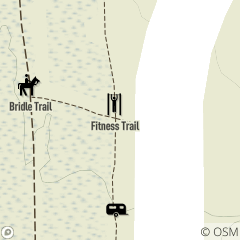 This Fitness Trail starts and finishes in the parking lot of the Shelterhouse Picnic Area. It is approximately 1 mile in total length with 18 different fitness stations. North Chagrin Nature Center staff offers programming and volunteer opportunities. Please contact North Chagrin Nature Center at 440.473.3370. Easily accessed from Sulphur Springs Drive or the Shelterhouse.